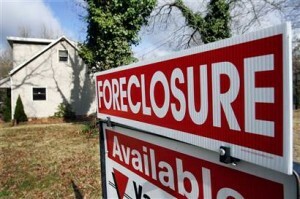 Purchasing a foreclosure is a really good real estate investment. The current economic climate precursor called the “Great Recession” has been (and still is being) experienced throughout the United States. The downturn resulted in many job losses and financial hardship. To compound the fact, many home loans were adjustable loans wherein the loan payments would suddenly and unexpectedly increase. The culmination was and is that many hardworking people are not able to pay their mortgage loan as agreed. Others, witnessing falling home prices, have decided to stop making payments on a home that has lost half its value. After several months and sometimes years of delinquent payments, the homes are returned back to the lender. Strangely enough, some of those lenders were bailed out by the US government. As a result, the government took receivership of the failed banks assets (including foreclosures). The majority of these properties quickly become part of the growing number of available foreclosures for sale. Searching for these properties often takes a little more effort than finding traditional properties that are listed in the MLS or with a real estate agent. Seeking out a clearinghouse for government foreclosures and federal home loan info will reveal both the complete list of homes and the low down / $0 down financing options to buy them. Contact a VA Home Loan Centers. You will need to know your income and monthly expenses so it’s best to have your most recent paycheck handy. Once you apply for a VA loan mortgage you’ll learn what amount you can spend on a foreclosure. From there you can ask for a list of foreclosures. VA Home Loan Centers can also introduce to you an approved real estate agent who specializes in government foreclosures and more importantly how to write the contracts to purchase these homes. After you find the home, and have an accepted purchase agreement, the next step is to order the appraisal. Your agent or loan officer will assist you with this. Once your appraisal is complete, you then request any repairs that the appraisal requires. After all repairs are complete, you can sign the final documents and become a homeowner. You must agree to live in the home. These special loans are not meant for investor use only. These loans are designed to help people buy homes to live in. Is a down payment needed? It depends on the home and the loan. Many of the programs require little or no down payment. You will have to pay for the appraisal and the home inspection though. Get started by applying for a VA loan today. Here is the link to the –> VA home loan application.